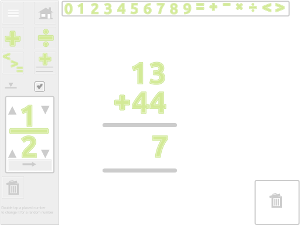 Numeracy basics is an app for the iPad. All of the following resources are included in the single app. It has been designed to make it easy for teachers, teaching assistants and parents to use traditional teaching methods using an iPad. It has also been designed so that each resource in the app has a freely available identical version available online for use with an IWB. This allows teachers to demonstrate concepts to the whole class using the IWB and then assist individuals using the app on an iPad without distracting the whole class. An important point to realise with this app is that it is designed to support teaching. It is not designed for children to go off and learn with it independently. Neither does the app include any rigid direction of activities. Teachers can use it to work through numeracy questions and model methods of answering the questions. Children can then use it to work out answers using the app and the guidance of their teacher. This makes the app more flexible to each teacher’s needs as the app can be used to work with whatever work they find it suitable for. 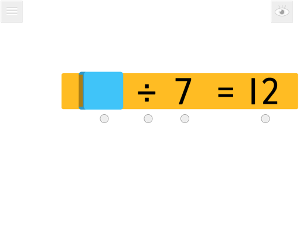 The hundred square is a useful tool for teaching addition and subtraction. 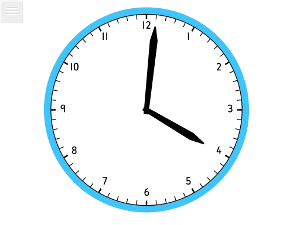 Use the clock to teach time skills. Digital clock also included. 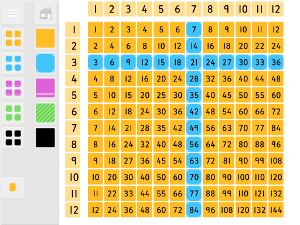 A traditional 12×12 multiplication grid. 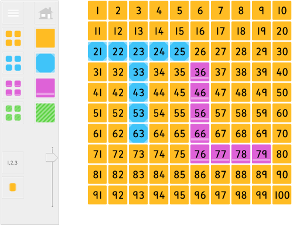 Magnetic numbers app for explaining concepts including fractions. Number hider for teaching about inverse operations. The resource covers addition, subtraction, multiplication and division. Isometric drawing for teaching how to represent 3D shapes on an isometric grid. 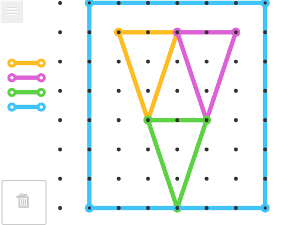 Geoboard for teaching about shapes, symmetry and coordinates. 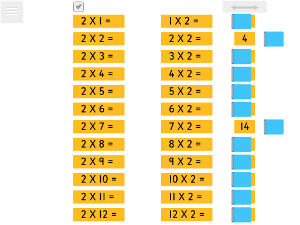 Times Table for teaching times tables. 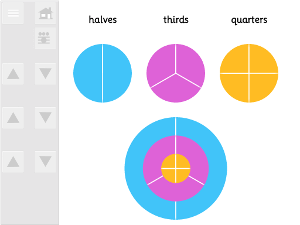 Fraction chart uses a traditional bar-style fraction chart and a divided circle one shown here. These links work with all devices and accurately reflect the app itself. By buying the app you will be safe from internet and Wi-Fi outages. You will also be supporting the development of more free resources for this site and new additions to this app. I do appreciate these resources, they do not spoon-feed and allow the teacher to make decisions regarding their use and pace. Thank you for these, this site is always my first port of call.